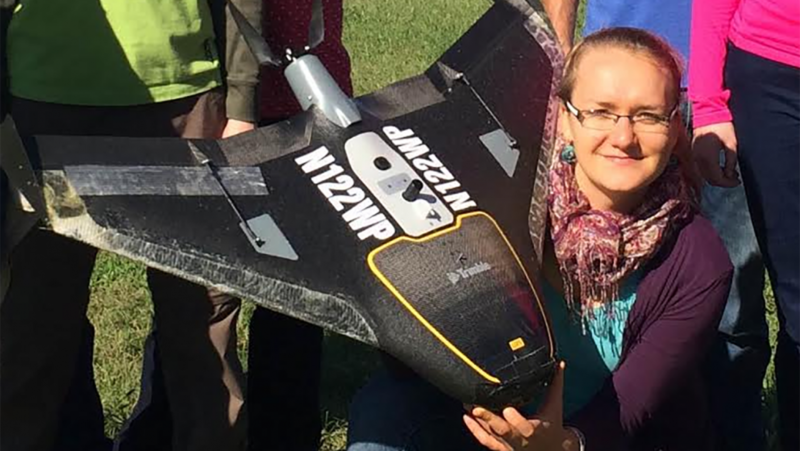 Justyna Jeziorska, research associate at the Center for Geospatial Analytics, was recently certified as a UAS Mapping Scientist by ASPRS, the American Society for Photogrammetry and Remote Sensing. UAS, or Unmanned Aerial Systems, are revolutionizing data collection in the geospatial sciences, and this credential underscores Justyna’s expertise and significant contributions to the center’s expanding UAS research and teaching programs. Certification requires at least three years of professional experience in UAS science, four references and successful completion of a written exam. Justyna is a geographer, cartographer and Geospatial Information Science specialist who has been performing research with UAS-obtained imagery for over five years. At the center, she works with faculty fellow Joshua Gray, assistant professor in the Department of Forestry and Environmental Resources, on a UAS data project for the North Carolina Department of Transportation. 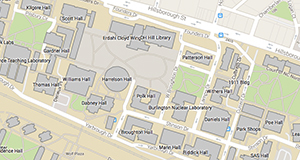 She also co-teaches a graduate course, UAS Mapping for 3D Modeling, with professor Helena Mitasova, associate director for geovisualization at the center and faculty in the Department of Marine, Earth and Atmospheric Sciences. In partnership with staff from NC State’s NextGen Air Transportation, Justyna also leads a public UAS Operations and Analytics workshop at the center, for professionals and non-student researchers. The workshop provides hands-on training for drone flights as well as step-by-step guidance for processing drone-obtained imagery. The next offering will be March 6 – 8, 2018. Congratulations, Justyna, on your accomplishments!